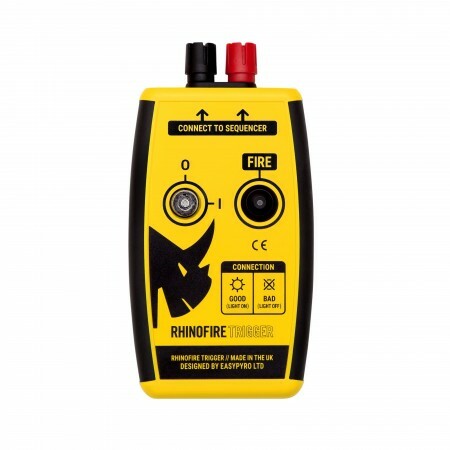 The unit can be used to start the RhinoFire Firework Sequencer on up to 500M of wire. The unit can also be used to fire e-match or Talon firework igniters directly on up to 40M of shooting wire. This is the ideal companion to our RhinoFire Firework Sequencer. The Trigger Unit lets you start and stop the timed firework sequence safely without the use of an external firing system. You can also step through cues one by one using the Trigger Unit for full manual firing. Documents Product Summary Sheet (English.. Replacement battery charger for RhinoFire Firework..